Why would I need self storage in Spring Valley, CA? There are a variety of reasons why you might need self-storage in Spring Valley, CA. How much is a storage unit in Spring Valley, CA? The cheapest storage unit in Spring Valley, CA is $51.00 per month. What size storage units do you have available in Spring Valley, CA? In Spring Valley, CA we have sizes that range from 5'x5' to 10'x30' to suit your storage needs. How much is it for a 5'x5' storage unit in Spring Valley, CA? The cheapest 5'x5' storage unit in Spring Valley, CA is $51.00 per month. Spring Valley is a Southern California town that has seen consistent growth over the past several years and is home to a diverse mix of families and working professionals. Its close proximity to the city of San Diego provides easy access to jobs, shopping and entertainment, as well as many popular beaches in the area. For centuries, Native Americans came to the area that is now known as Spring Valley for its natural springs. This abundant source of fresh water drew Spanish conquerors to the area, who staked their claim by 1775. The spring was named St. George's Spring, and the surrounding land was used for cattle grazing through the early 1830s. Judge Augustus S. Ensworth filed a claim for a large portion of the land in 1863, constructing an adobe house that can still be visited today. Spring Valley is a scenic area with a mild year-round climate, with warm weather that can be enjoyed at several local parks. Community spaces like Sweetwater Lane Community Park and Bancroft County Park offer children's playgrounds, walking paths and several sports fields. The cost of living in Spring Valley is significantly higher than the national average, but slightly lower when compared with much of California. The city has a variety of entertainment and dining options and is only about 10 miles from San Diego, providing easy access to shopping, restaurants and local landmarks. The Spring Valley economy offers a range of jobs, specifically in the industries of recreation, construction and public administration. You can also commute to nearby San Diego for work, where you'll find plenty of jobs in tourism, retail and national defense. Elementary and middle schools in Spring Valley are managed by the La Mesa-Spring Valley School District, and high schools are served by Grossmont Union High School District. Adult education options include the local Foothills Adult School. Though there are no post-secondary institutions within Spring Valley's city limits, the nearby city of El Cajon is home to several colleges and universities where you can pursue a range of degree programs. Utilities: Water services are divided among three different agencies in Spring Valley: Otay Water District, Helix Water District and Sweetwater Authority. 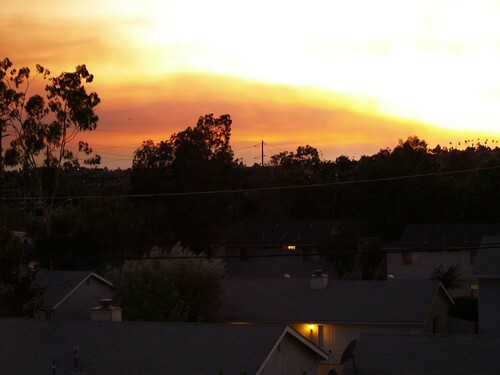 San Diego Gas & Electric is the power provider in the area. Garbage and Recycling: EDCO provides curbside collection of trash and recycling, and you can find the collection schedule for your neighborhood on their website. Transportation: The San Diego Metropolitan Transit System provides bus and trolley service in and through Spring Valley, and you can use public transit for convenient access to nearby San Diego. Our lowest priced units in Spring Valley, CA average $51.00 per month. 143 people have reserved units in Spring Valley, CA in the past 30 days. There is 1 location within Spring Valley, CA's city limits. There is 1 location in Spring Valley, CA that offers AC and Heating features.